We hypothesize here that the Sigillum Dei Aemeth is an encoded Hermetic symbol. At the top of the Sigillum in the first division is a T with a 4 above it. As we have already seen this 4T is a significant marker for much of the Enochian system. It provides the orientation for both the Sigillum and the Watchtowers. Simply stated there are letters and numbers. From the letters are formed the names in an order determined by the numbers. If the number is above the letter, then the order is clockwise, i.e., to the right, and if it is under the letter it is counterclockwise. If there is no number, it indicates the termination of the word. This 4T is, by the system of the Circumference, but and indicator of another name. Counting 4 to the right we find 22h (note 22 letters in the Hebrew alphabet), 22 to the right we find 11A, 11 to the right a5, 5 to the left o10, 10 the left t11 and 11 to the left h alone, ending the name and spelling ThAaoth. The reduplicated ‘a’ is eliminated according to the angels, leaving Thaoth. We posit that there is a more than indirect relationship between the Sigillum and the Hieroglyphic Monad, that in fact the Monad provides a key to the proper attribution of symbols and values to the names encrypted within the Sigillum. The Sigillum, as noted above, begins with the 4T and ends with the ω. The placement of the initial letter of the Sigillum’s symbolic construction may also be an allusion to the principle of AZOTh,8 T in the Angelic alphabet being Gisg, its last letter. If these divisions are taken Qabalistically, the T of the 4T may be seen as Taurus, the 6 of 6ω as the central Sun, the 4 also as the equal armed cross and the horns of Aries as the inverted omega at the base. 9G on the left boundary of the 4T may be seen as the lunar crescent crowning the figure as both the moon and the horns of Taurus, and by duplication, the horns of Aries as its base. The a24 on the left boundary may be equated with the 24 Theorems that divide the text of the Hieroglyphic Monad, and may also be associated with the critical place that the number 24 and its value play in the mathesis of the Monad. Curiously, and we have to wonder if it was known or unknown to Dee, the geometry of the Monad as analyzed and expected in Theorem XXIII when applied to a circle subdivides the circumference of a circle into seven equal divisions with almost perfect elegance. This finding was first made by Clay Holden, in whose debt we are for this important discovery and the initial geometric constructions demonstrating the figure. This correlation of the Monad to the sevenfold division of the circle indicates that an intimate relationship may exist between the metaphysical formulae of Dee’s Monad and Sigillum, sevenfold division being the very foundation of the formulae of the Sigillum. 1. The serious student of this material should make comparison of the various MSS. Dee’s version of Liber Secundus is to be found in Sloane MS. 3188 (http://themagickalreview.org/enochian/mss), it has suffered damage over time though some of the loss may be recovered by comparison to Ashmole’s transcription MSS. Sloane 3677 and 3678 and in the extracts to be found in the Heptarchia Mystica in Sloane MS. 3191 and published in Robert Turner ed. 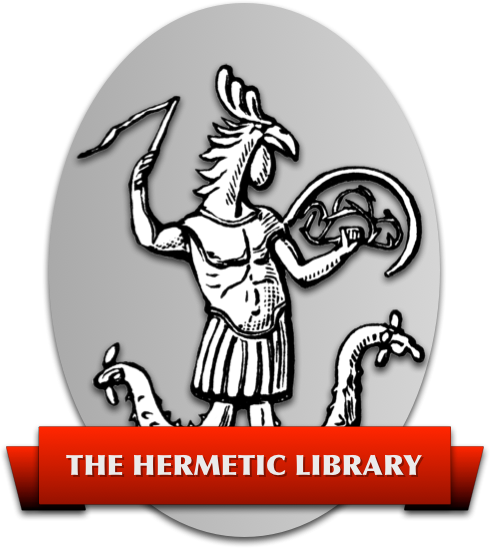 Heptarchia Mystica (Edinburgh UK: Magnum Opus Hermetic Sourceworks, 1983) and with translations and addenda as The Heptarchia Mystica of John Dee (Wellingborough UK: Aquarian, 1986) and in Geoffrey James ed. The Enochian Evocation of Dr. John Dee (St Paul MN: Llewellyn, 1994). The published editions of Liber Secundus are Clay Holden ed. Mysteriorum Liber Secundus trans. Raymond and Susan Drewry John Dee Publication Project (http://hermetic.com/jdpp/), Christopher Whitby, John Dee’s Actions With Spirits: 22 December 1581 to 23 May 1583, 2 vols. (New York: Garland, 1991) and Joseph H. Peterson ed. John Dee’s Five Books of Mystery (Yourk Beach ME: Weiser, 2003). 2. Aryeh Kaplan ed. Sefer Yetzirah 2nd edt. (York Beach ME: Weiser, 1997). 4. Cf. the Corpus Hermetica Brian P. Copenhaver ed. Hermetica: The Greek Corpus Hermeticum and the Latin Asclepius (Cambridge: Cambridge University Press, 1992) and The Corpus Hermeticum and Hermetic Tradition trans. G.R.S. Mead (http://gnosis.org/library/hermet.htm). 5. This thesis is fully demonstrated by Francis Yates The Art of Memory (Chicago: University of Chicago, 1989), Giordano Bruno and the Hermetic Tradition (Chicago: University of Chicago, 1991), The Rosicrucian Enlightenment (Chicago, University of Chicago, 1986), and Theatre of the World (Chicago: University of Chicago, 1969). 6. Several editions of Dee’s texts are available. THe Weiser editions are notable for their theosophical addenda, but the classic edition remains that of C. H. Josten, “A Translation of John Dee’s ‘Monas Hieroglyphica’”, Ambix Col. XII: 2 & 3, 1964. Online versions at (http://esotericarchives.org/dee/monad.htm), and (http://geocities.com/Athens/Oracle/8465/monad/1monad.htm), and (http://hermetics.org/pdf/deemonad.pdf) are serviceable. 7. This is explained in Theorem XII et passim in the Hieroglyphic Monad. See also my “System of Enochian Magick”, (http://hermetic.com/jones/the-system-of-enochian-magick/). 8. That is, the first and last as an epitome of Mark 10:31 and Matthew 19:30, as well as Revelation 1:8. 10. Euclid, The thirteen books of the Elements, ed. Thomas Little Heath (New York, Dover, 1956); John Dee, The Mathematicall Praeface to the Elements of Geometrie of Euclid of Megara (1570). New York: Science History Publications (1975); Euclid, The Elements of Geometrie ed. Henry Billingsley (London, John Dye, 1570).